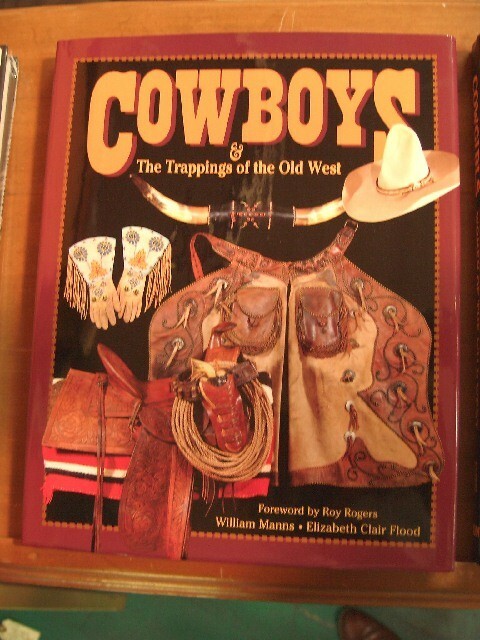 This is an autographed book by William Mann who did a fabulous job capturing the trapping of the cowboy gear, saddles, holsters, spurs, everything of the cowboy. Great coffee table book or gift. This is an autographed book by William Mann who did a fabulous job capturing the trapping of the cowboy gear, saddles, holsters, spurs, everything of the cowboy. Great coffee table book or gift. Please email cowboycabin@centurytel.net with questions or call 406 270-2842.